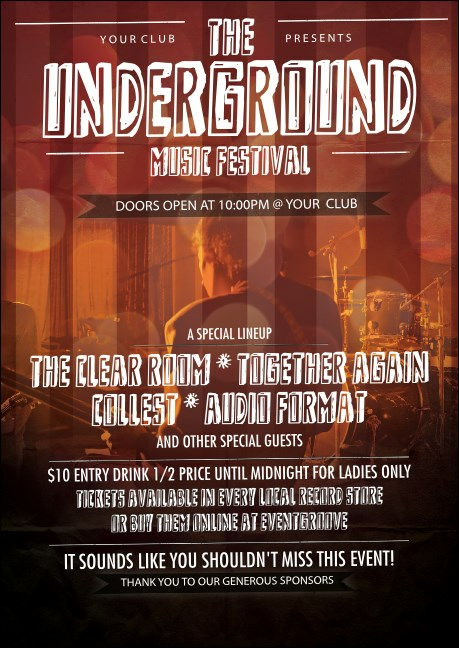 Showcase your musical talent with pre-event promotions that are anything but normal when you send out personalized Alternative Music Club Flyers in advance. Advertise your unique sound with Club Flyers that feature fifteen lines of text on a transitional colored background with a hip musical theme. Anticipate the encore with Club Flyers from TicketPrinting.com.